I wasn’t going to write a New Year’s post. I don’t like New Year’s resolutions, because they never stick. I usually try to make some goals, but by June, most of those goals have shifted. Last year, I picked a phrase to focus on, but that didn’t really do much, either. And honestly, I like my life. I don’t want to make a ton of major changes. More PRs, hopefully starting with the Lincoln Marathon in May. Chase the Moon falls on my 30th birthday this year. Who wants to be on my team? Less hair-washing. I know it’s not good for hair to be washed every day, but sometimes I even wash it twice a day (if I work out twice). My hair is splitting more quickly than it used to, and that’s probably why. Any tips for not looking like a greaseball with second- or third-day hair? More yoga. At least for this training cycle, I’m planning to do yoga every Sunday. After the marathon, I’ll see how I’ve liked that plan and go from there. More empathy. I can be kind of a judgmental turd. I need to work on accepting people as they are and understanding what makes them that way, rather than … turdiness. Less mindless eating. I’ve gotten a lot better about this than I used to be, but when I’m stressed or, especially, procrastinating, I still travel this road. (“I can’t grade these papers right now! I’m hungry!” … that’s bad). More adventures. Travel. Camping. Hiking. Exploring. I’ve got some major wanderlust that needs satisfied. 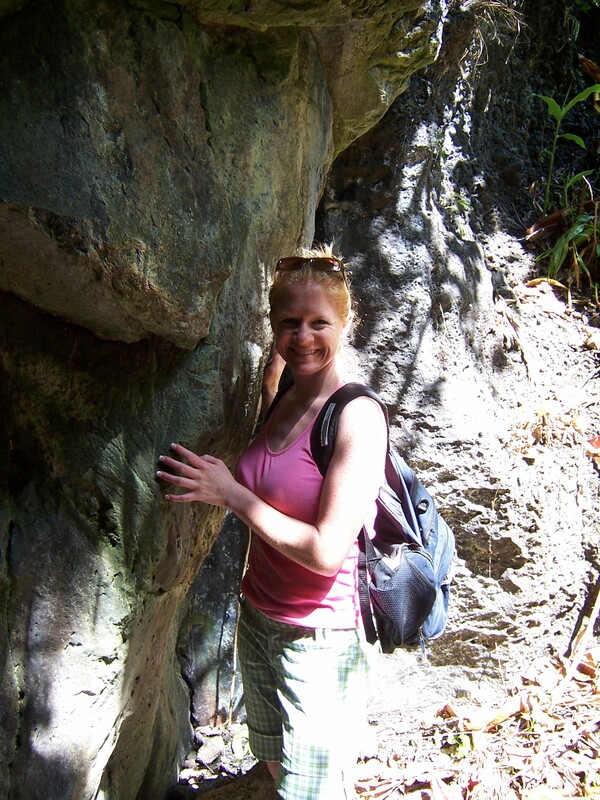 One of my favorite adventures ever: hiking in Hawaii. More writing. Every time I make goals, this is one of them. I’m joining this Write and Run 31 challenge for January to start down the write-more path. Less stress over things that don’t really matter. My plan is to ask myself “Will this matter by next year?” every time I start worrying. More risks. Professionally, personally, running-ly… I tend to hang out in my comfort zone because, well, it’s comfortable. But in order to grow in any of those areas, I need to be willing to take more risks. Any tips/advice/volunteering to help me meet some of mine? What if I join you on trail runs? Well, mine would be a trail walk, but the ride there would be together! I think we need to get back to our at least once a month date goal. I love the less/more concept! I definitely want to run more trail in 2015. 2014 was the year of NO TRAIL for me. I think I went on 2 trail runs, for real. My brother and I are running a trail half in May so I guess I will get out at least once, right!? As for the hair washing…. I wash mine like twice a week! I condition it every time I shower because otherwise it is hard to comb, but I barely ever wash it. I don’t use product in it so I am sure that helps it to not be greasy? A trail half sounds fun! I don’t use much hair product either. Maybe if I just rinse it and condition it that would be better. um…obviously I’m in for CTM! Awww man!!! Right you are! I’ll cheer you from afar. And then when you need more miles, you can come pace me in Ouray ;). I love the concept of less/more. You are extremely similar to me (hello judgmental turd!) and you want to do a lot of what I want to do. I wish we lived closer to each other. I only wash my hair about twice a week or so. I typically just wear it in a high bun while exercising and rinse it out if it’s really sweaty. Otherwise, I just have dirty hair and no one can really tell. At least, I hope not. Also, the term runable is my new favorite term. I will be using that a lot in 2015! I can’t take credit for “runabler.” That’s Heidi from runaroundaroo. I really like the less and more idea for reflecting on goals. Wait a second… it’s flat where you live? I always picture Colorado as being very hilly and mountainous. Do you not live near the Rockies? I’m with you on the hair-care question. I need some great tips on hair care for athletes. When are you going to start the Write and Run Challenge? Is this going to be writing on the blog, or just writing in general? Great idea, by the way. Especially in the winter. 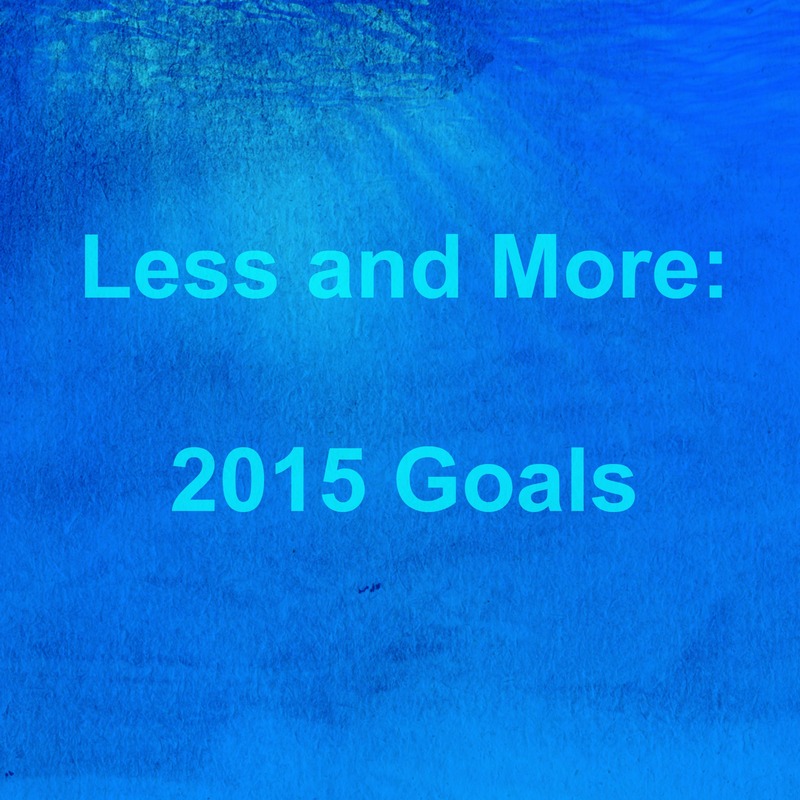 Good luck on meeting several, most, or all of these goals in 2015!!! Yep, it’s flat here. I’m on the eastern plains… more like Kansas/Nebraska terrain than what you probably picture when you think of Colorado. The Rockies are a good two hours from me. The Write and Run Challenge started the first. They post daily prompts in the Facebook groups. I’ll post anything decent that I write during the challenge; the not-so-good stuff will stay in a Word document. I like that trail running goal! I would so love to run your trails! Your pictures are always amazing!